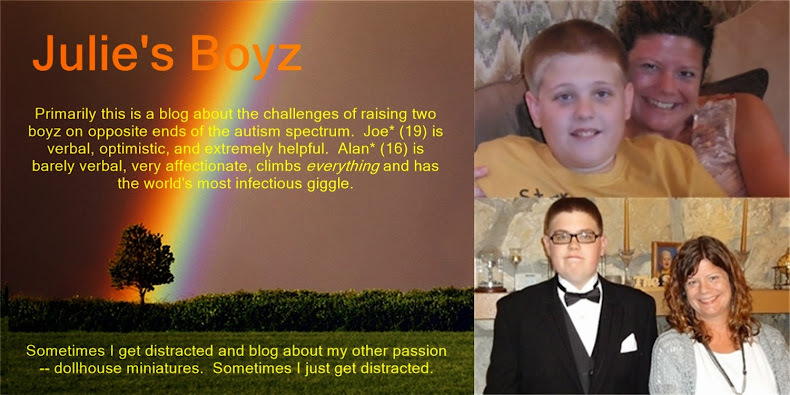 Julie's Boyz: TBT - Blog Style! A dear blogging friend, started doing Throw Back Thursdays on her blog. It seemed like a good idea. I actually had a few good blogs before anyone read me and I've been in a bit of a funk lately and I haven't written much so it seemed like a good match. 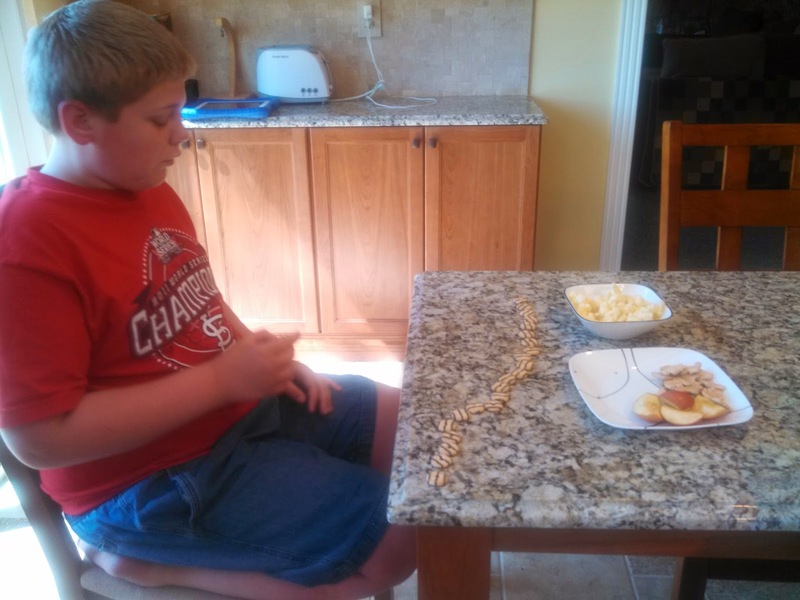 This is a blog post I originally wrote about Alan's picky eating on January 14, 2013. It was sort of sad to re-read it and realize how little has changed in those 16 months. Then when I went looking for a picture (and you can tell it is recent since it is in the new kitchen) you can see all the foods I list later at his spot -- with the mini Fudge Stripes in a little row! Oh well, the kid still makes me laugh. I would love to get pizza in Alan!!! Is that sad or what? A year or two ago, I got really excited one night because he ate "hash rounds" (the little round bits of hash brown potatoes) but he's never eaten them since. Sigh. Wow! your son really is a professional! I will never complain again about the children in my home I thought were picky. I can see I was VERY wrong! We will take the Joe approach and say...At least you don't have to meal plan for him! Blessings!